Beauty consultant Ziva Diaz is a girl boss who doesn't back down from anyone. 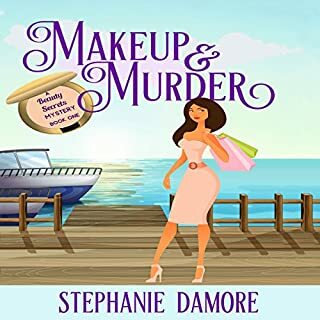 When she's attacked inside a client's home and wakes to find a dead body, she gives up the safety of selling lipsticks for the dangerous role of detective. With suspects piling up, a killer on the loose, and her own life threatened, Ziva vows to solve the case and digs her high heels in even deeper. The last thing she expected is finding another dead body - or befriending the murderer! When Maisie Swenson takes over as manager at Florida's elite Oceanside hotel, she's thrilled to move on site with her Momma and their basset hound, Bingo. She expected by the job description to cater to the crazy whims of some of the richest people in America. What was never on her job resume was dealing with the murder of business mogul Norman Olsen. He's a huge figure in the video gaming business, but now it looks like he had some dangerous enemies - including his own wife and son. She wants to write a mystery. Instead she's embroiled in one. 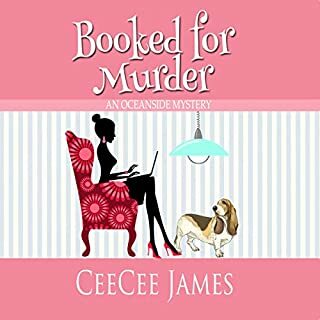 When a famous author agrees to teach a writing course at the library, amateur sleuth Deena Sharpe eagerly signs up. But on the second day of class, the author's wife dies in a car crash, and the police suspect foul play. Is it a hoax to teach his students about plotting a murder mystery? Not likely. Deena dives into the investigation when a friend is accused of the crime. With her brother's help, she must clear their friend's name and stay out of trouble with the town's newest detective. As if that weren't enough, it's her husband's birthday and her pushy mother-in-law is coming to town. What's a Southern gal to do? 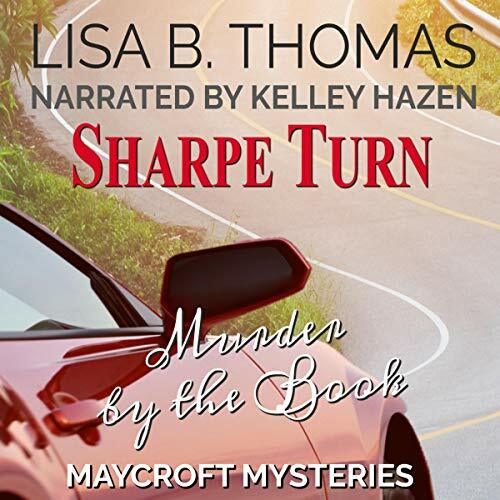 Sharpe Turn is book four in the Cozy Suburbs Mystery Series by best-selling author Lisa B. Thomas. If you like a savvy sleuth and a twisty plot, this clean whodunit may be your new favorite cozy mystery. Get your copy today! 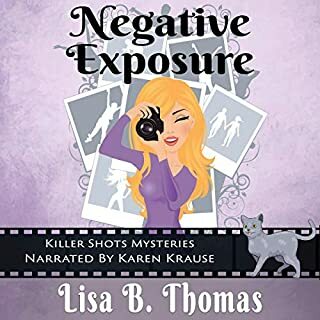 I was voluntarily provided this free review copy audiobook by the narrator and it is great. Deena Sharpe maybe pushing 60, but she's still causing trouble and having fun. She's decided to quit investigating until her brother's best friend is main suspect in a murder. Deena out to find the real murderer and deal with her visiting mother-in-law at the same time. 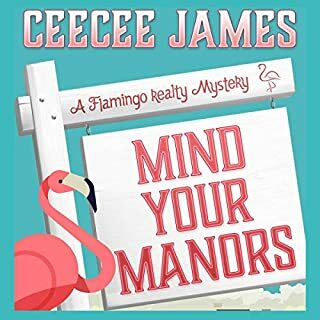 Cozy Suburb Mystery Series have lots of suspense and humour. This is such a fun series and enjoyable listen. The narration fits this cozy story and the character of Deena is so cute and quirky. I find so much of the story as relatable to life. The humor is good too. I requested this review copy audiobook and have voluntarily written the review. This is a clean story and appropriate for most ages. It is a standalone listen and not a cliffhanger. Keeps getting better and better!! The characters are well written and defined. And, as usual with the bad guys in the Cozy Suburbs Mystery Series, the bad guys have no heart at all. I can relate to the good guys in this series, but these bad guys.... I guess I just can't fathom people this bad. But, then again, I think I lead a sheltered life. If you want a great mystery/cop story with action packed reading, this is definitely the book for you. I warn you though. Once you start with your first, you will be a fan for all of them. When a famous author's wife is murdered, Deena once again gets pulled into the investigation. Trouble always seems to find our girl, even when she's not looking for it. Can she solve the murder mystery or will she become the next victim? More importantly, will she ever learn how to bake her husband's favorite cake? Deena has her hands full with a vindictive murderer on the loose, flying office supplies, presbyopia, her mother-in-law and other scary things. For a retired middle-aged woman, Deena certainly manages to get into a lot of serious scrapes. How fortunate for us, the listeners! This series just keeps getting better and better and the characters have come to feel like old friends. I can't wait to see what Deena's up to next. What a fun series! The story wouldn't be the same without Kelley Hazen as the narrator. After listening to her throughout the series, I can't imagine someone else's voice for Deena. She always gives a stellar performance and this installment was no exception. Sharpe Turn was a wonderfully entertaining listen and I would highly recommend it and the rest of the series. Deena gets herself into trouble again. 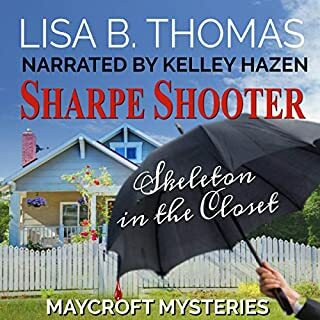 Deena Sharpe uses her investigative talents again, despite promising her husband she would stay out of trouble after all the predicaments she's gotten herself into in the past. She decides to try a writing class at the local library which happens to be run by famous writer Max Decker. When his wife is killed and one of her friends accused, Deena is pulled into the investigation. The reading was good, with various voices for the different characters and the accent suited to Deena Sharpe. I found it slightly slower than I would have liked but I am generally a fast reader. Deena Sharpe is back trying to figure out what's next for her career. 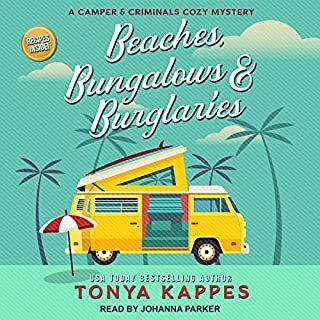 This is a fun, clean, cozy mystery. There is plenty of suspense as the number of suspects grows. The characters are fun, and each one has a personality all their own. This series gets better and better with humor to keep the listener engaged; even though I figured out who the villain was about half way thru.I didn't guess the motive. I can't wait to see what will happen in the next book. The narration was well done. The characters were well portrayed. Kelley Hazen gives an excellent performance as always! So much so, I'm listening again! Good mystery, great characters, terrific comedy - the fight at the office is hilarious! I say no more - solid narration, new plot lines for the family. I loved it! I love this series and it just keeps getting better and better. This time Deena takes a writing class. In her never ending search for who she wants to be now that she has retired from teaching she's writing a murder mystery when her famous novelist/teacher's wife turns up dead. Lots of family involvement here, including a wonderful turn from the Mother-In-Law. Good to see the return of the perfect neighbor. Real moments of caring with Deena's husband. And the humor just gets funnier and funnier. This is one crazy town!